Ar-Raqqa, Syrian Arab Republic, 11 June, 2017- Children pay the highest price for war. They suffer from the fear of death and injury. Those who survive are grieving for lost loved ones, leaving them with lifelong psychological scars. 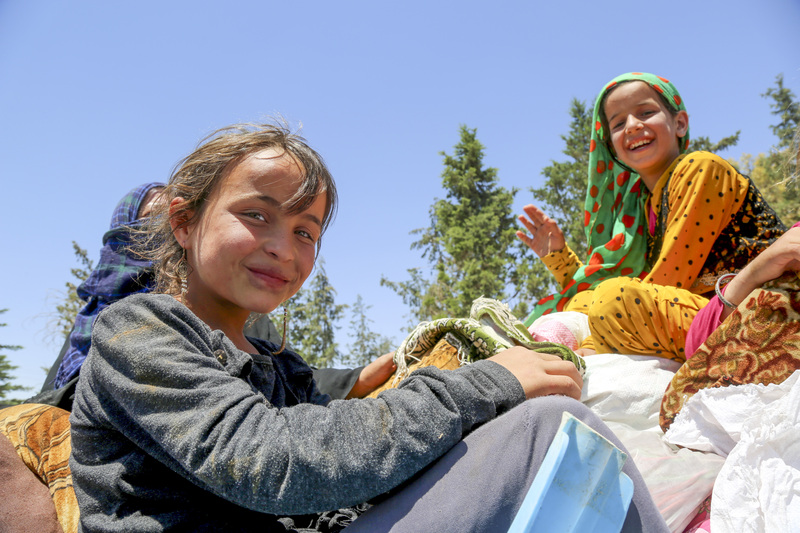 Working as a health and nutrition facilitator with UNICEF in north-eastern Syria for the past three years, I have seen many families uprooted from their homes fleeing fighting, most of them with only the clothes on their backs. I have met several children forced out of school, living in extremely harsh conditions in camps with little or no basic services. I have seen children surrounded by violence, enduring unimaginable physical and psychological suffering. Last week I visited a makeshift camp in Ain Issa, 50 kilometres north of Raqqa city to conduct an assessment of the health and nutrition status of children. The camp now shelters more than 6,000 people who have fled the ongoing violence in Raqqa city. More people arrive at the camp daily, seeking safety, and the most basic necessities to survive. I myself was displaced from Ar-Raqqa six months ago, but nothing I have witnessed since compares to the misery I have seen on children’s faces in the past weeks in the camp. I met a 3 year-old boy lying on a small carpet in his family’s torn tent. The child had bright red cheeks and a hot forehead. I initially thought this was from the scorching heat. A quick medical examination confirmed that Omar had measles. We rushed him to the nearest hospital, an hour drive from Ain Issa, for treatment. Then I met Adnan, a 13 year-old boy who hasn’t set foot in a classroom for over four years because of the restrictions imposed by extremists controlling his home town, Ar-Raqqa city. After everything he has been through, Adnan told me his only wish is to continue his education. Safety. That’s all she wants; despite the dire living conditions inside the camp. As long as she is safe, she can endure sleeping out in the open with barely a mattress to ease her sleep, or a blanket to cover her body. Children want the chance to live in dignity and safety, to play, study; grow to reach their full potential. Everywhere in Syria children want a normal childhood. It is our duty to provide them with this opportunity. UNICEF is supporting displaced families in Ain Issa with daily trucking of 50,000 liters of safe water. Working with partners, UNICEF is providing life-saving nutrition supplies, and micronutrients for children. In order to help maintain the hygiene of displaced families who arrive in the camp almost empty-handed, UNCIEF regularly distributes supplies such as soaps, washing powder, jerry cans, and personal hygiene items. UNICEF has also installed 100 latrines and 48 shower units inside the camp. But so much more is needed, as children continue to face a dire situation.